U.S. President since the year 2000. The acknowledged architect of the War on Terror and the invasion of Iraq. 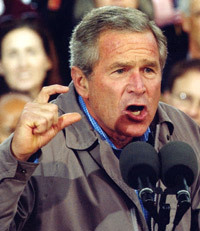 Bush’s largest election and re-election campaign supporters were the pharmaceutical industry. Several of his administration’s key executives had strong ties to the pharmaceutical industry, not least Donald Rumsfeld, the highest decorated pharmaceutical executive in history. In 2007, Bush openly talked about: invading Iran; World War III and the possibility of nuclear war. French president since May 2007. Within the first six months of his presidency, Sarkozy visited the USA twice, clearly signaling to the world his support for the policies of George W. Bush. 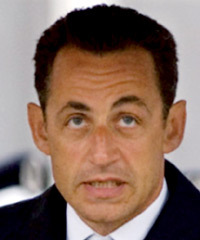 In 2004 Sarkozy, then French Minister of Finance, was instrumental in the $ 80 billion acquisition of pharmaceutical drug giant Aventis by the French drug dwarf Sanofi. In June 2007, the FDA rejected sales of a Sanofi-Aventis blockbuster drug in the US because of its serious side effects – including suicides. The share price immediately dropped 20% and within 3 months Sarkozy, the political patron of the company, announced WWIII to the world. French Minister of Foreign and European Affairs in the Sarkozy government. 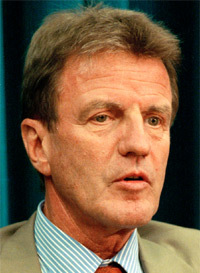 Kouchner was one of the founders of Medecines Sans Frontieres (Doctors Without Borders) an organization that, despite its image, has close links with the pharmaceutical industry. In Africa , for example, MSF often acts as a re-packaging agency for anti-retroviral drugs, removing warning notices about the highly toxic and dangerous nature of such drugs in the process. In September 2007, supporting the public stance of his boss Sarkozy, Kouchner publicly urged the world to prepare for war with Iran. 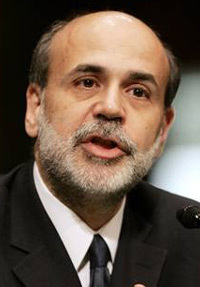 Bernanke is a Bush appointment and during 2007 made several pronouncements about impending economic meltdown in the USA and ultimately globally. He is known as “Helicopter Ben” as a result of his adherence to the views of Milton Friedman about making a “helicopter drop” of money into the economy to fight deflation. With Bernanke at the Fed. Bush has someone he can call on when economic crises are needed to divert attention.